La Cusinga Lodge is situated in a small and crowd-free town of Uvita that lays about 11 miles south of Dominica. Located along Costa Rica’s southern Pacific coast, this lodge is a luxurious eco-lodge, working to increase the awareness of sustainable living. It is working to be a model company worldwide and ensure all of its guests enjoy a memorable vacation. This lodge was constructed with eco-friendly local materials such as eco-friendly reforested woods. It didn’t make any alteration in nature for building this lodge. It uses solar and hydroelectric power for producing electricity for the total lodge area. While staying at this lodge, you will have delicious meals that are prepared with organic products grown in its own garden or collected from the local organic farms. You can also enjoy different types of fun and adventure activities as well as can enjoy exploring the natural beauty of the surrounding area. Costa Rica Yoga Spa is set on the mountain of a private ranch in Nosara, Guanacaste on the Gold Coast of Costa Rica. Nestled between the magical waters of the Rio Nosara and the Rio Montaña and awe-inspiring Refugio National Silvestre Vida Ostional National Park, this resort overlooks wonderful nature and ocean view. A big farm or finca hosts this resort featuring Jungle Lodge, Yoga Rancho, Organic Gardens, a handful of private lots and office. Here you will get the opportunity to make your senses get delighted in the deliciously fresh, primary vegetarian cuisine that are prepared with organic products grown on the ranch or collected from local farms. At the time of staying here, you will can also enjoy many activities in the surrounding area. 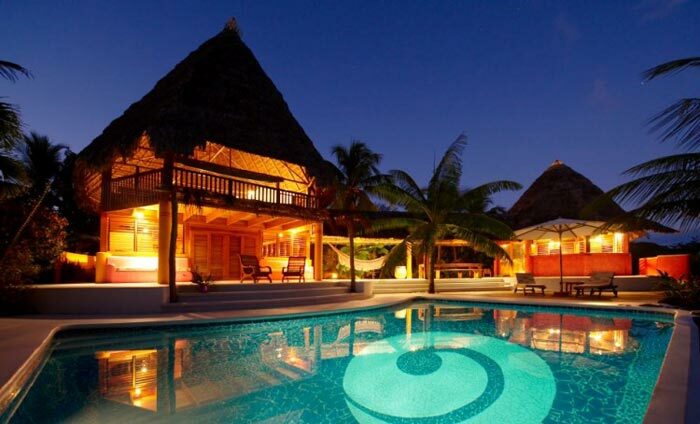 Casa Zen Guest House & Yoga Center is situated at the southern tip of the Nicoya Peninsula. 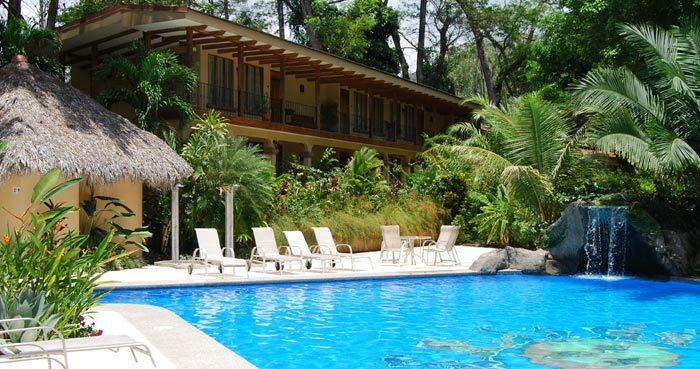 Surrounded by a lush garden, this center is nestled between two main surf breaks of Santa Teresa and Playa Carmen. Just a few minutes walk from your room will take you to the pristine beach from where you can enjoy amazing sunset view or just take rest beneath the shade of a palm tree. At the time of taking rest you will also enjoy watching and listening the wave sounds while the waves crash in front of you. You can also spend some tranquil time on cozy hammocks and have a cold drink in the rancho. Only 50 meters from Mal Pais and Playa Santa Teresa, this center has been a great getaway for thousands of guests from all around the world. While entering this beautiful property, you will get a warm welcome and get all the things you need for enjoying a comfortable stay. In a close distance from the Casa Zen Guest House & Yoga Center you will find many world class restaurants including the Papaya Lounge, Koji’s, and Restaurant Mary. There are also a lot of fantastic bars, pubs, supermarkets and shops in the surrounding area. Throughout the region, you will find plenty of expat hangouts throughout the region. 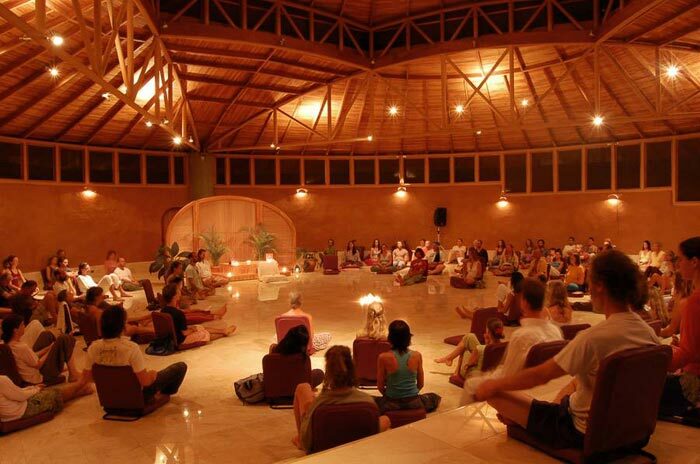 Located in Costa Rica, PachaMama is a spiritual commune, a relaxing heaven. In this community you will find perfect environment to enjoy practicing Yoga workouts and meditation. Tyohar, founder and spiritual guide conceived this well-organised International community. If you are yearning for a connection with your your inner self, you will find this transformation center perfect. PachaMama hosts many people from around the world in its unique and colorful topography setting. If your soul needs a spiritual transformation and want to get rejuvenated, you can visit this retreat center. Not only Yoga and Meditation but also cleansing, juicing and detoxification services are offered by the PachaMama Yoga Retreat center. In this center you will learn how to get relaxed and foster oneness in your body, mind and soul and you will discover that your physical and spiritual growth will find a new meaning. Boca Sombrero is situated in the amazing rainforest of Costa Rica’s Osa Peninsula, in the province of Puntarenas. Nature lovers, surf lovers, backpackers and businessmen, and also those who want to enjoy health related programs and other activities, they will find this place perfect. The beachfront property landscape is eco-friendly and home to different species of wildlife. If you are seeking a place for enjoying a memorable vacation with your family or partner or want to travel single, you can choose this retreat. Beautiful landscapes, verdant forests, striking beaches, wonderful environment and weather makes this region popular and attracts many tourists. In the surrounding area you will get plenty of options to enjoy a plenty of different types of fun and adventure activities. Tucked in its own little corner of the jungle, DoceLunes is situated in the middle of the Central Pacific region of Costa Rica. You will find Jaco Beach, Jaco Library and Learning Center within close distance from the retreat center. Nature lovers will find this hotel just like a paradise in the jungle. While staying at this hotel you will meet the staff who are very friendly and hospitable and ensure its guests get all the things they need. You will stay at clean, comfortable and spacious rooms that also include extra large clean bathroom. You can reach the Manuel Antonio National Park within an hour short drive to the south and within a shorter drive to the north you will reach Carara National Park. You can also go to explore the beauty of the ocean and Neo Fauna and Teatro Jaco. Within an hour you can find surf beaches that make this place popular for the surfers as well as for the beach goers. Within a mile there is the Jaco Beach and within ten minutes can reach the Hermosa Beach. 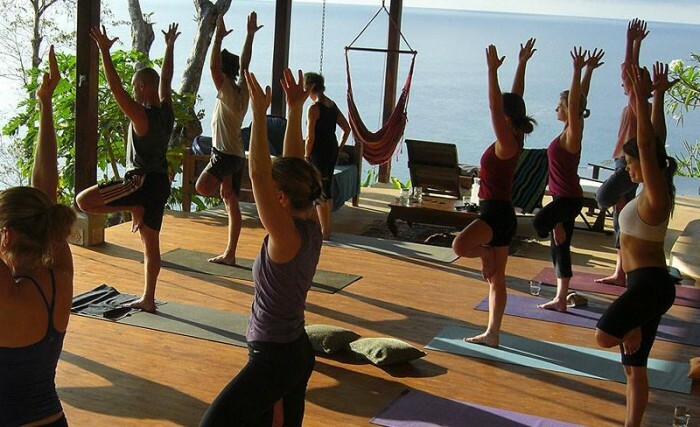 The Yoga Farm is located on the southernmost Pacific coast of Costa Rica. 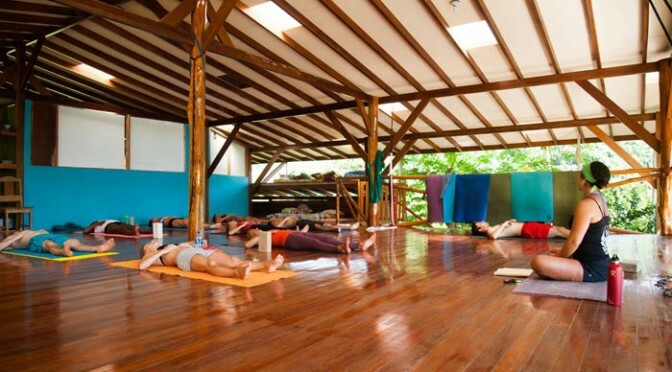 Set amidst a beautiful tropical rainforest, it is a rustic yoga center and sustainable project. If you want to reconnect your body, mind and nature, and want to enjoy a Yoga vacation in a natural setting, you can choose this lodge. This farm remains open ideally seven months out of the year and you can stay at this lodge for a few days or even for few months and enjoy the Pura Vida lifestyle. This lodge is set amidst amazing tropical rainforest and overlooks stunning ocean view. Here you will enjoy practicing Yoga workouts, hike the forest, enjoy the beautiful beach, eat healthy food and also breath lots of fresh air that will take you far from the harsh busy life and will allow you to rejuvenated. At this lodge you will meet a functioning community of diverse people-living, working and playing. 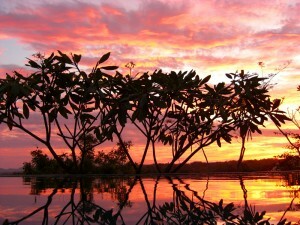 This lodge is set in a location that is considered as one of the most biologically diverse region of the world.